Infant Stimulation Cards – Jady A. Infant stimulation cards are black and white cards with patterns and objects that stimulate a baby’s vision. According to Dr. Sears he writes in AskDrsears.com that at birth, a baby’s retina is not fully developed. The retina is the back layer of the eye that detects light. An adult retina can distinguish many different shades of light and color, but a newborn retina can only detect large contrasts between light and dark, or black and white. A newborn retina detects only strong contrasts between light and dark or black and white. Shades of pastel may appear to your infant as one shade blended together. Black and white images register strongly on a baby’s retina and send the most significant visual signals to his brain. Stronger signals increase brain growth and accelerate visual development. Infant stimulation flash cards will help calm and soothe your baby as well as increase concentration skills, enhance natural curiosity, and stimulate the creation of brain cell connections. 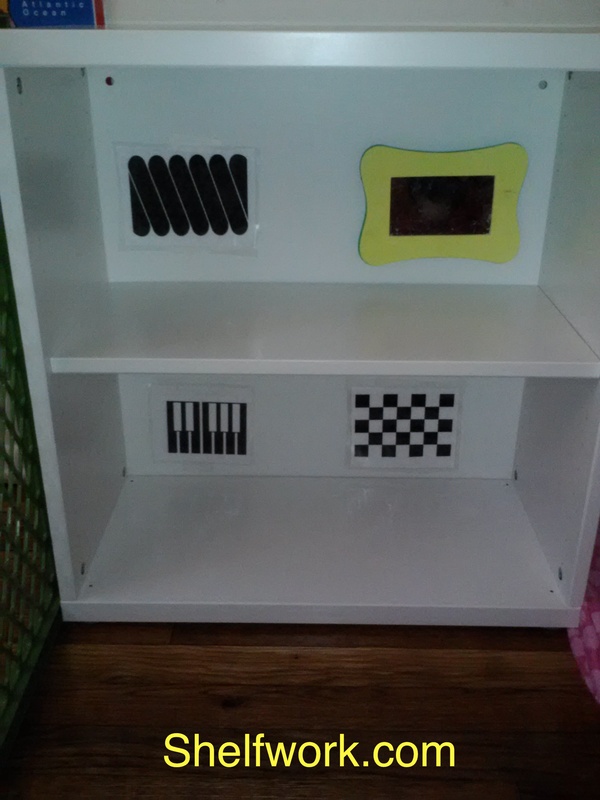 You can help your baby’s brain development by stimulating the visual input with high contrast images and patterns. Place the images 8 to 12 inches away from the baby in a crib, play area, changing area, on the wall by their high chair, etc. You can use these cards for ages 1 month to 12 months. You can get these free downloads at Brill Baby– they have a wide variety of pattern and object cards for free download. infant stimulation cards shelfwork.com stimulate your baby's vision what are infant stimulation cards?